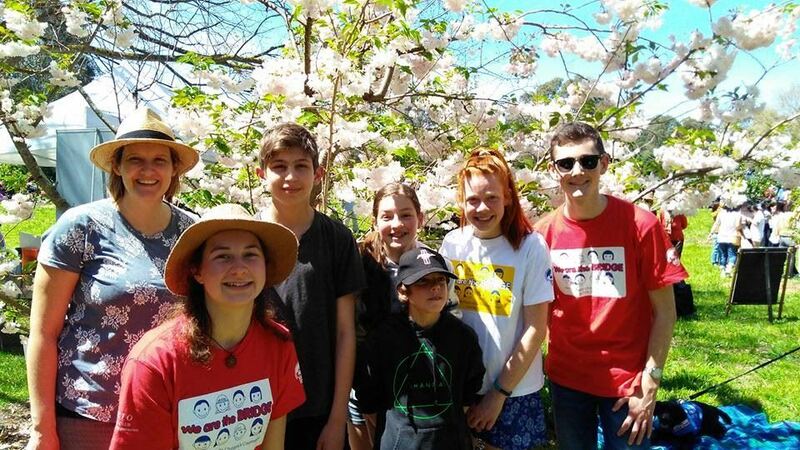 This year marked the 29th anniversary of the APCC and six Junior Ambassadors (JA’s), one chaperone, one Peace Ambassador (PA) and one Bridge Club Head Office member were invited to attend the Convention. The six JA’s were Finn Staple (Sale Primary), Yoni Arad (The Patch Primary), Oscar Menzies (Derinya Primary), Annabelle Farmer (Bellaire Primary), Brooke Inall (Derinya Primary) and Chloe Maclaren (Ruskin Park Primary). The children were accompanied by Ms Lindsay Mackay (Chaperone), Ms Grace Mulcahy (PA) and Ms Sophie McCracken (BCIO HO). The program for the Junior Ambassadors followed the general format for the convention, including orientation camp with the 240 other JA’s from all around the Asia Pacific regions, home hosting by Japanese families where they spent time visiting school as well as many sights in Fukuoka and tourist spots and the Performance Event held in central Fukuoka where each country performed an item celebrating their culture which was then live streamed to parents, friends and interested supporters all around the globe. The program for the Peace Ambassadors was held concurrently to the JA program and Grace participated in workshops and discussions relating to the future of Bridge Club and possible activities/opportunities that members could be involved in, facilitated by Sophie as Head Office member. The Peace Ambassadors also assisted with the Exchange Camp, assisting with organisation and activities as well as assisting room leaders. 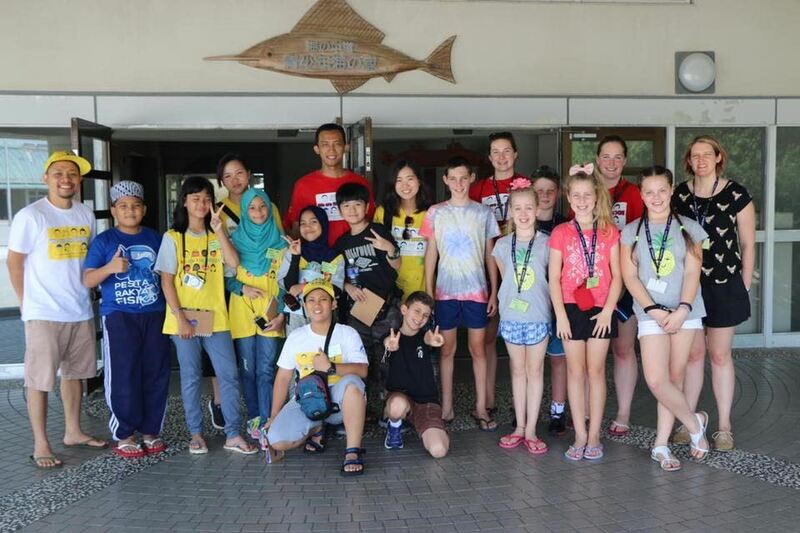 The opportunity to participate in the Asian Pacific Children’s Convention is offered to children learning Japanese at primary school and children of AJSV members and we hope that the project continues to run for many years facilitated by the Australia Japan Society of Victoria. Selection day and individual interviews have been held for children to attend the 29th APCC to be held in July 2017 in Fukuoka and a past Junior Ambassador has been selected to attend as a Peace Ambassador. The chaperone has also been selected and she is a past Junior Ambassador and Peace Ambassador. Four preparation meetings (including a sleepover are held to ensure that the children are well prepared for their July trip. Australia did not host Mission Project in 2017 (generally Australia host every second year). We provided feedback as to the timing of the Project, hoping that it could continue in August however, APCC have advised that Mission Project will only occur in March as in previous years which is a little more problematic given our summer holidays inhibit the ease of planning the project and seeking host families. This year, the common activity undertaken by BCIO was the ‘Travel Lookouts’ and allowed Bridge Club members to spread the unique beauty of countries around the world and strengthen the network of global citizens. All the entries were shared on line and proved to be a very popular activity and allowed readers to learn about other countries and special places to visit. Australia provided two articles – one a trip around Victoria (including our Bridge Club outing to Eureka Tower, Mornington Peninsula and ) as well as the Diamond Valley Miniature Railway where the 2017 JA’s held a reunion lunch. Whilst BCA wasn’t selected as one of the most popular articles, it was great to be a tourist in our own city and share our experiences. BCA also attended the Sakura Festival at Banksia Park in October and enjoyed a picnic under the cherry blossom trees. 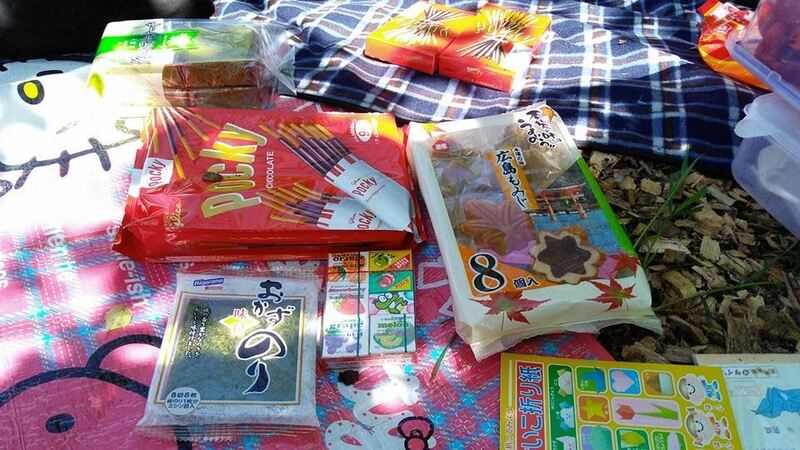 Plenty of fun was had by the group and there were lots of Japanese treats to share as well. Bridge Club Australia shares their news and activities on Facebook, Instagram, Twitter and email as well as a webpage on the AJS. We thank AJSV for hosting this.